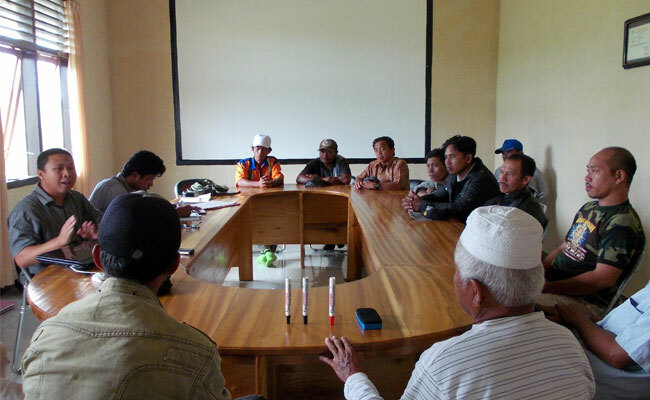 InfoSAWIT, JAKARTA –As one national palm oil plantation company, Kencana Groupthrough its subsidiaries commits to implement partnership system with the plasma smallholders. The goal is to have multiplier effect in the regions. Though there are many understandings about the 20% obligation to prepare the palm oil areas for the people, one thing for sure that almost palm oil plantation companies in Indonesia run the obligation. Kencana Group, the palm oil plantation company does the same where the subsidiaries of the company operate in some regions in Indonesia, such as, Bangka Belitung, South Kalimantan, East Kalimantan, Central Sulawesi, and Gorontalo. Senior Manager Plasma and Community Development, Kencana, Ifar Priyono said, the company in developing palm oil areas always refers to the regulations in Indonesia – for example, the facility to develop plasma areas reaching 20% of the total planted main areas. “We developed plasma areas about 26% of the main areas or larger than the areas that the government regulated,” Ifar said in Jakarta. The owner of the company is committed to develop the plasma areas to increase the people’s welfare around the plantation who may be limited in economy.